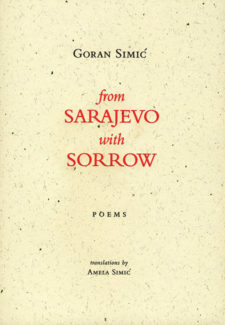 Goran Simic was born in Bosnia in 1952 and has been living in Toronto since 1996. He has published eleven books of poetry, drama, and short fiction, including the acclaimed volume of poems in English translation, Sprinting from the Graveyard (Oxford University Press, 1997). 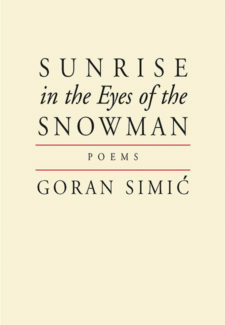 In Canada, Simic has published Peace and War, a limited edition volume gathering poems by himself and by Fraser Sutherland; other books of his poetry and drama have been translated into nine languages. 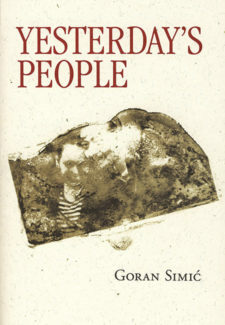 His poems are included in anthologies of world poetry, such as Scanning the Century (Penguin, 2002) and Banned Poetry (Index, 1997). He has received major literary awards from PEN USA and four times in former Yugoslavia.